Last Sunday I had an early alarm call. One of the Little Postcard had a football match with a kick off at 9am. It was our first early kick off of the season and hopefully there won’t be too many more! 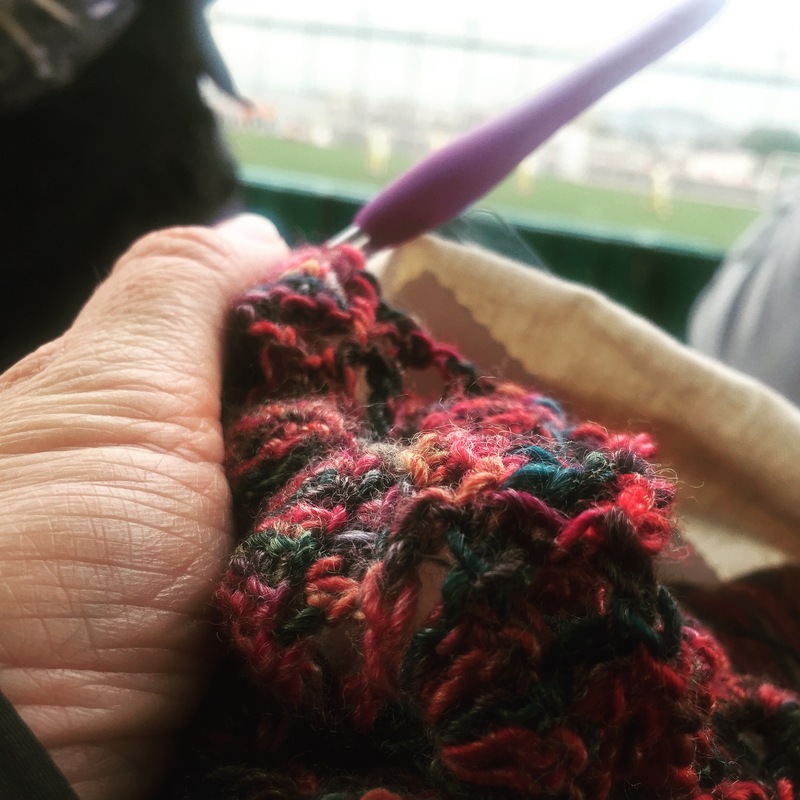 A thermos with coffee and a spot of touchline crochet took the edge off the early start. Not quite as good as a lie-in but at least they won! On Monday I had nothing in the diary at all while the Little Postcards were at school – a very rare happening in my usual routine. I used my time wisely and finally attempted to get my crafty broom cupboard sorted out. An avalanche of bags of fabric & yarn had been preventing me from getting the door open for weeks… I’m not brave enough to show you a before picture 😬. I’m pleased with what I achieved. My cupboard isn’t very big (180cm x 88cm) I had to stand in the hall to take the picture. 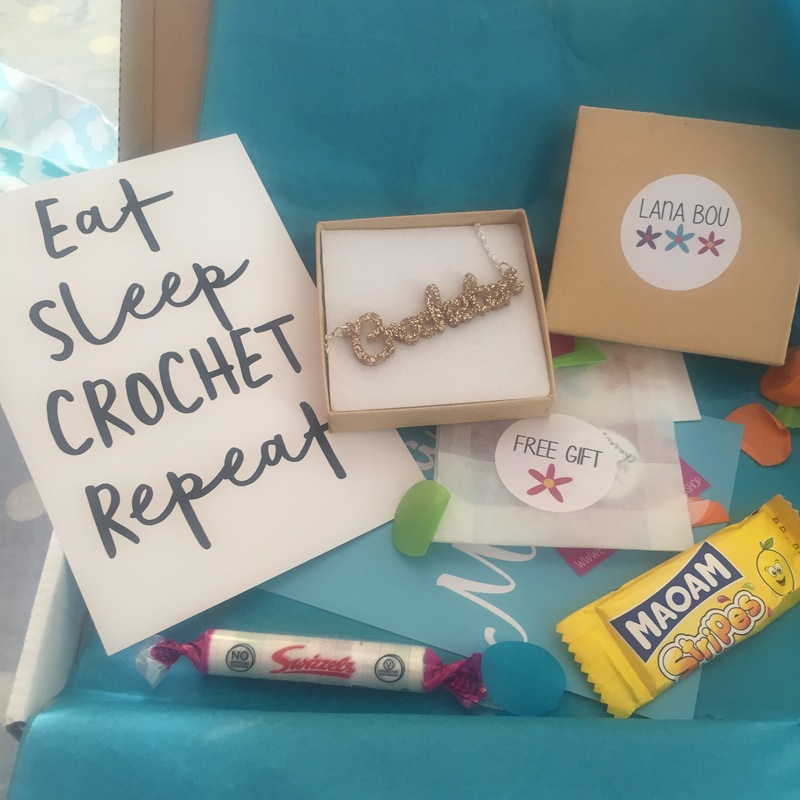 But it’s my own little space and I feel very lucky to have it – it’s the first time I’ve had a dedicated crafty corner in any of our homes (and there have been a few over the years). 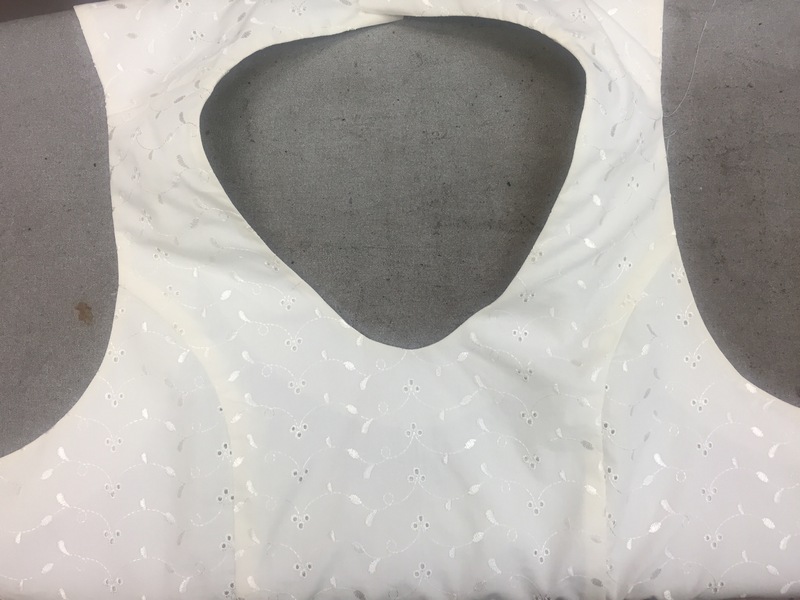 My lining and outer fabric are joined on my princess-line top. Please forgive the shot on the ironing board. The alternative was a white table – and the top would have disappeared! Side seams and invisible zip next – arghh! I’m working on something for a friend at the moment and it’s in chunky yarn. 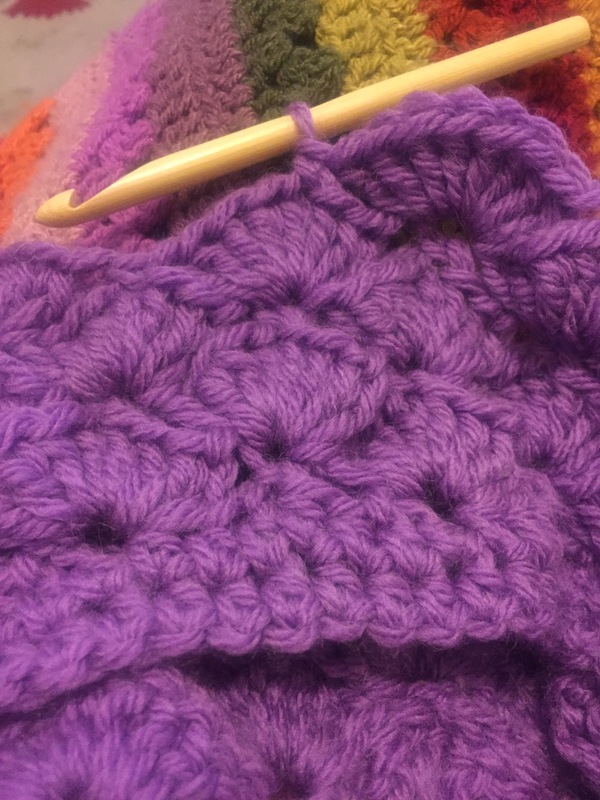 Oh the joys of chunky yarn…. you get results so quickly! Loving that I’m now one third of the way through already! 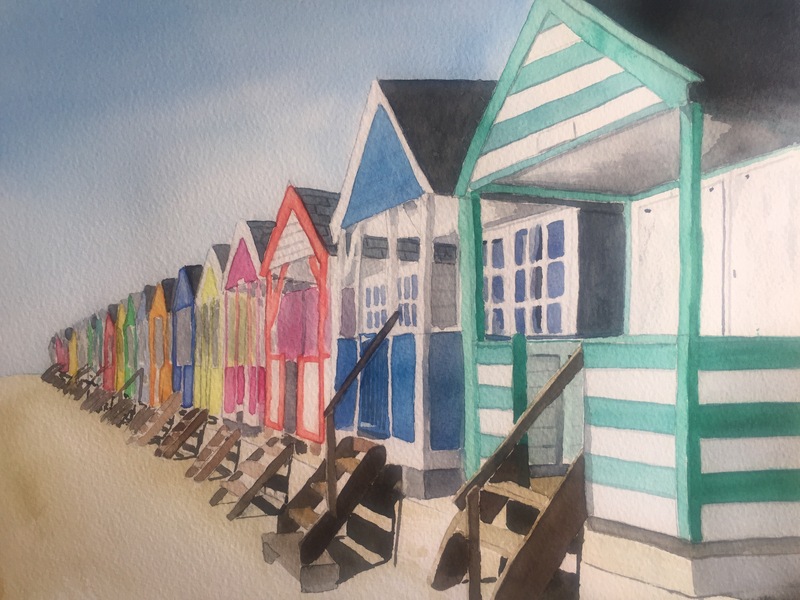 My interpretation of the beautiful beach huts at Southwold is finally finished. I’m really pleased with them. I think this one’s a keeper. Watercolour class next week will mean a new project – what next I wonder? You may remember last week I was a bit browned off that the Post Office had lost my parcel. Well on Tuesday I got a phone call from a very nice man to say they’d found it. It took until the end of the week to be able to go and pick it up, but it was worth the wait. Did you see my post yesterday? 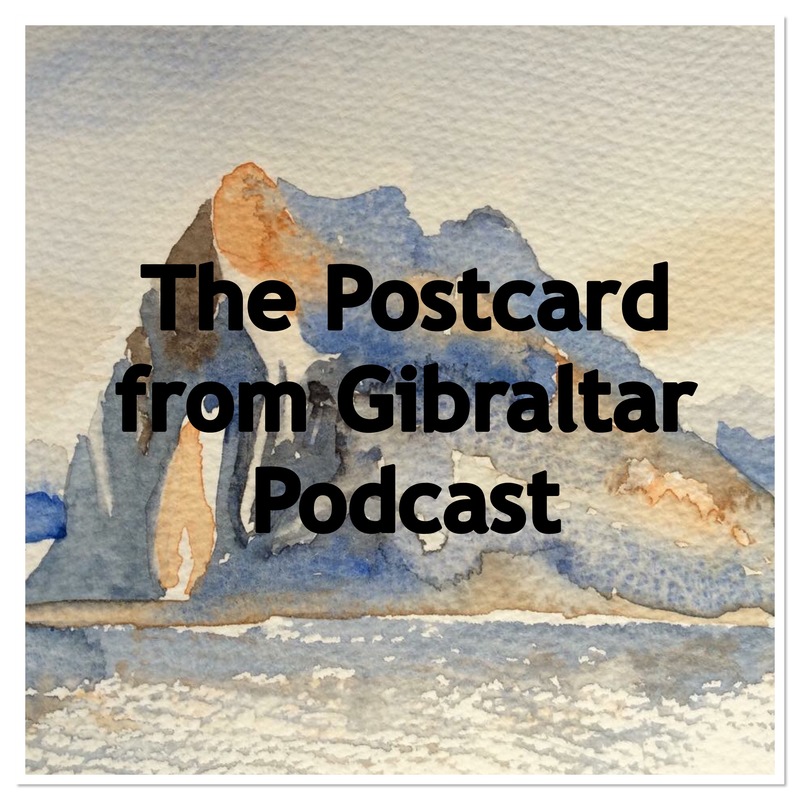 I’ve been having a play about on the computer ably assisted by Eldest and made my first ever podcast. It was good fun (if slightly difficult) to make and I’m hoping to make some more, longer ones in the new year. 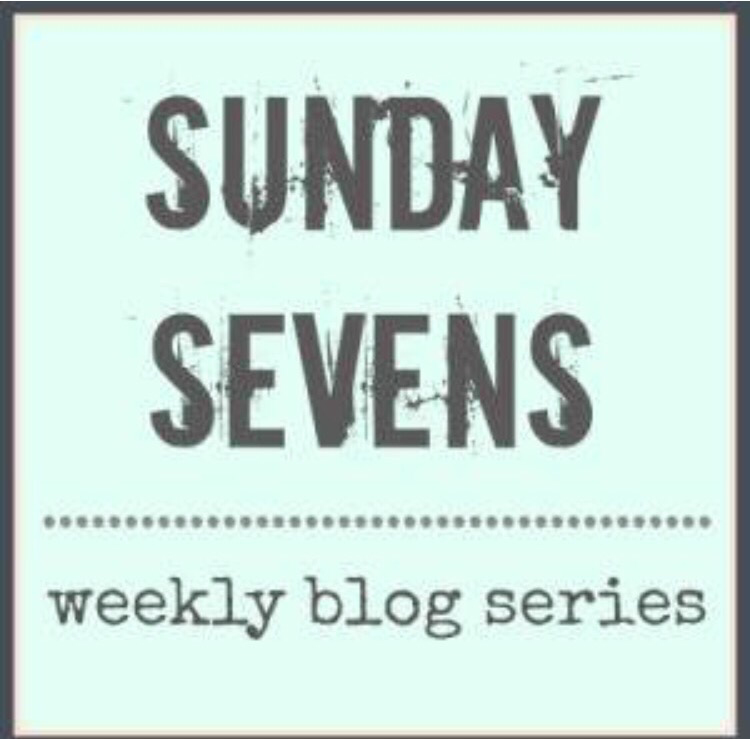 One of the things which spurred me on to press publish on the podcast was reading this wonderfully moving post by my online friend Nancy of Avocado Fairy. It’s really worth a read and reminds us that life is short and it is what we make it. Thank you Nancy for the kick up the backside I needed to get on with it! < Previous My first ever Podcast! Gosh, Im really touched! Thats lovely of you to say. I might need a backside kicking one day so I hope you will return the favour! I love your painting of the boatsheds! I’ve just finished deconstructing, clearing out and rebuilding my art room – it has taken six weeks! I’m a ton of stuff lighter and have lots more actual space for movement. 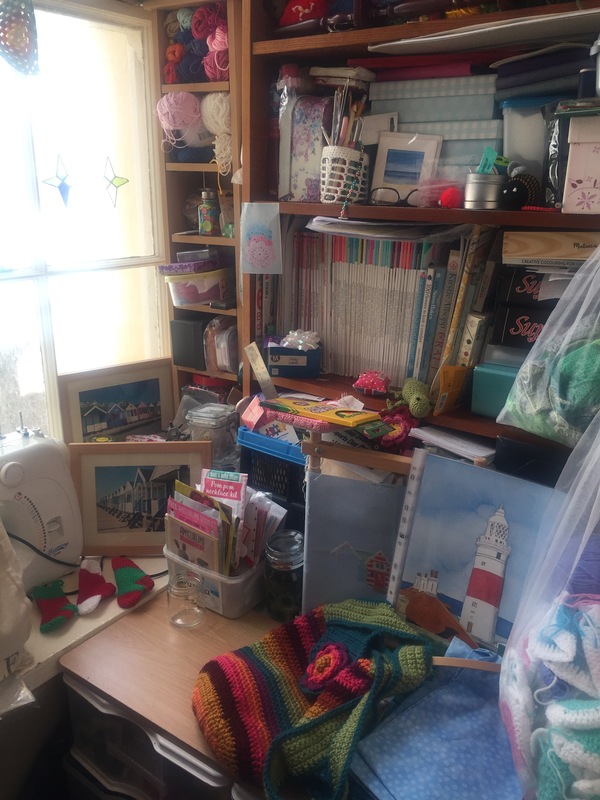 I’m delighted and not a photo to show of the process 🙂 Until I had this space, I didn’t even have a cupboard – it’s amazing what a mess you can make in a couple of years!! Officially in love with your beach huts! Oh, those beach huts are wonderful! I’ll be waiting with Sheila to see what prints you come up with. You are one busy lady! Love how organized your space is, love all your crochet projects, and what a lovely eyelet top that will be! And yes, the podcast – very nice.